How will everyday Nebraskans benefit from ASN Board Members’ advocacy initiative? What value is gained from ASN Board Members attending these events? How will everyday Nebraskans benefit from ASN Board Members’ attendance of these events? When ASN Board Members attend the ASA National Conference and the ASA Day on the Hill Events, it is an opportunity to listen and to be heard. With autism prevalence appearing to be on the rise and the scientific community’s shifting understanding of the nature of autism, it is important that ASN’s leadership remain plugged into the cutting edge of thought in the world of autism so that we may fulfill our unique role in Nebraska in responding to the needs of the autism community in our state. The programming of the ASA National Conference allows ASN’s leadership to connect with the emergent trends in the world of autism in a way that is not always possible through pursuing digital resources remotely in Nebraska. While other organizations in Nebraska provide vocational services and medical/behavioral therapies, ASN is the only organization to provide continuous peer-to-peer support group meetings for people affected by autism throughout the state. Our programming is informed by similar work in other states and by the legislation impacting people affected by autism. 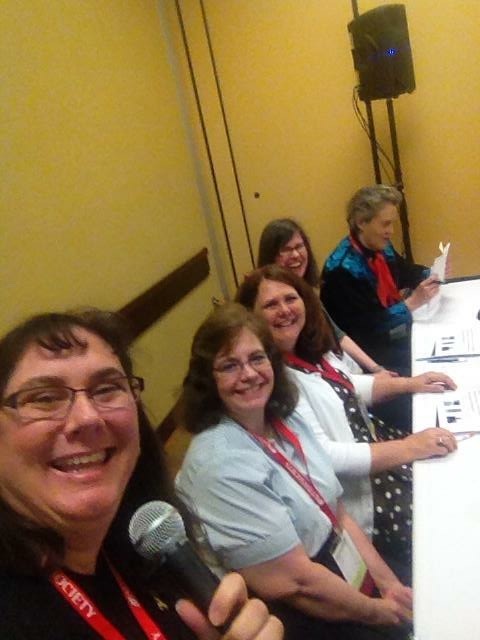 Autism Society of Nebraska volunteers with Temple Grandin at the ASA National Conference in 2014. Image courtesy of Robyn Roberts. When Board Members attend the Conference and Day on the Hill, they come into contact with that nation’s most pressing issues in the autism world. 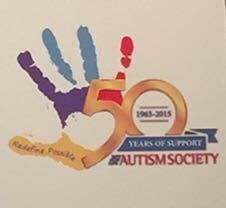 They learn about what the Autism Society of America is prioritizing for the coming year in order to leverage the full benefit of belonging to a national network of affiliates with a headquarters in our nation’s capital. They also learn from autism thought leaders, such as Stephen M. Shore, Ed.D., Special Education, Adelphi University; Amy Daniels, Ph.D, SPARK, Simons Foundation; Kiely Law, MD, MPH, Interactive Autism Network; Pamela Feliciano, Ph.D, SPARK, Simons Foundation; and Mary Lazare, Principal Deputy Administrator for the Administration for Community Living (ACL) at the U.S. Department of Health and Human Services. Image from ASA National Conference 2015. Image courtesy of Robyn Roberts. When Board Members return to Nebraska, they share their knowledge and experiences with other board members as programming is developed. They can advocate at the state and local levels with greater precision and gravitas. As they partner with other disability rights groups, they are the keystones in helping create a more equitable and inclusive Nebraska. When Board Members are able to attend the Conference and the Day on the Hill multiple times, as many of our board members have, they become leaders in their communities as advocacy authorities and credible voices in the greater context of advocacy for people with disabilities. The knowledge and leadership that our advocates bring back to Nebraska helps us fulfill our mission of improving the lives of Nebraskans affected by autism. To learn more about this initiative, contact Kevin Mahler, ASN’s Director of Development, at kevin.mahler@autismnebraska.org. To support this important work, GIVE NOW!